Hey all, do you still remember my story ? My name is Snow and was rescued from Baluwatar few weeks back. 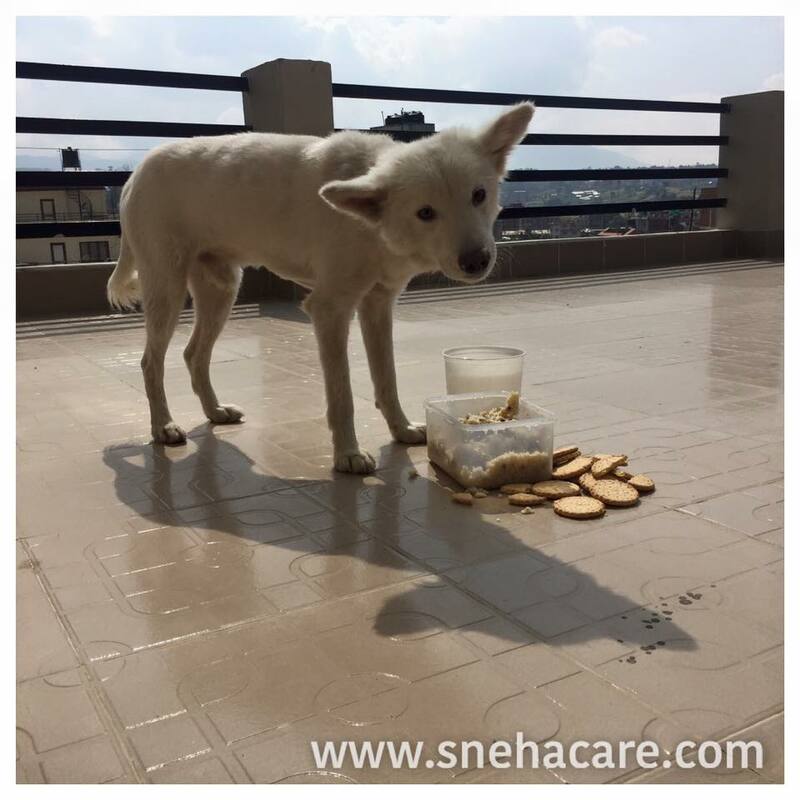 I was abandoned during the earthquake and after 6 months Sneha mom rescued me. Once I was rescued and was kept for adoption a nice guy adopted me. I was very happy with that family. But I made a mistake biting him as he touched my food while I was having my lunch. I am deaf and I can’t hear. So it was my small mistake, but they gave me big punishment for this and returned me to Sneha Mom again. I was kind of abandoned again. 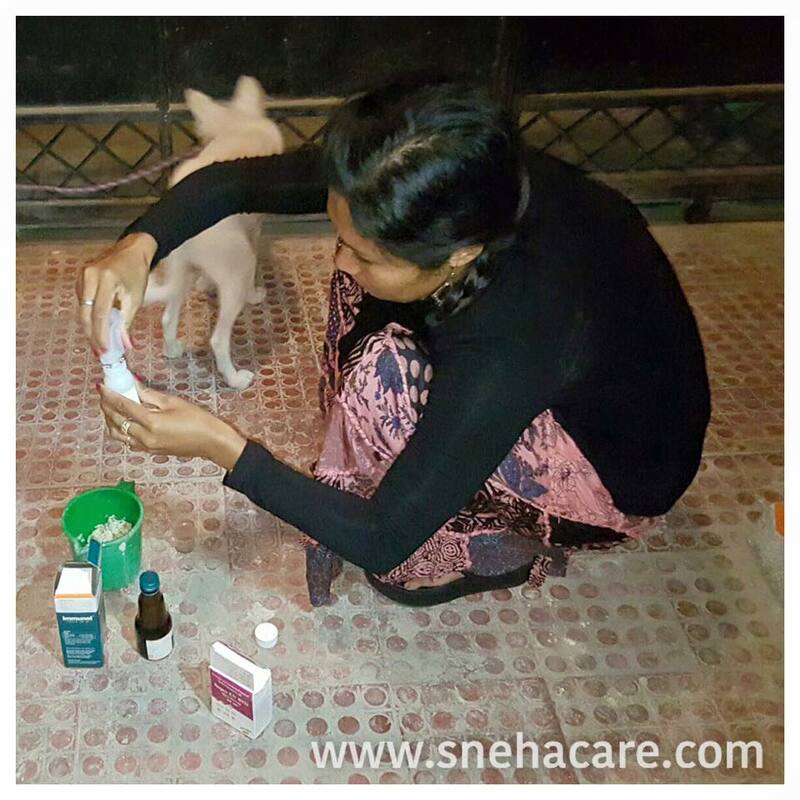 Sneha mom brought me at Animal medical center for check up to know everything is OK with me. But I am very unlucky. I am already being abandoned by two family and now I have distemper positive. Doctor asked her to put me down and there is no chances of survival once someone has this virus but still Sneha mom has kept me in her home to see if I can fight with this virus. I still have 5% chances to get cured, if I will be able to fight with the virus. Please pray for my life. I don’t want to go anyone’s house anymore and want to live with Sneha mum. Atleast she has given me home, care & kept me isolated. Hope I will be fine soon, I don’t want to die at this age.